That same weekend we’ll be marching in the May Day Parade and hosting a table at the May Day Festival in Powderhorn Park, Minneapolis afterwards to spread the word about the Humane Farming Myth along with other issues related to animal agriculture. 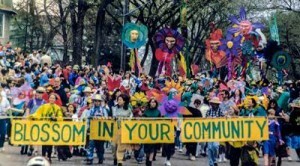 It all happens on Sunday, May 3 from noon – 8:00 p.m. Let Chelsea know if you’re interested in marching, tabling, leafleting, or all of the above. This is going to be an exciting and fun-filled day! 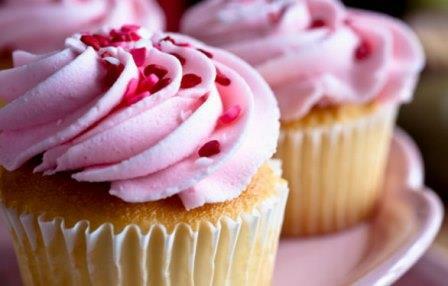 Worldwide Vegan Bake Sale – Lucky Number 7! 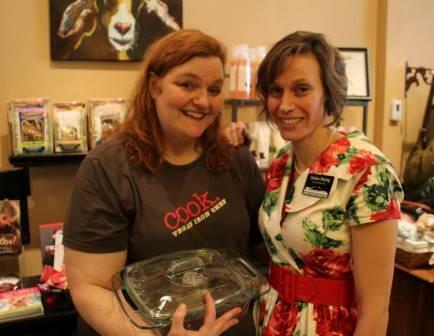 The Worldwide Vegan Bake Sale-Twin Cities Style is the biggest and best bake sale of the year and we’re excited to be putting on our seventh WWVBS this year. Come to Ethique Nouveau, 317 West 48th St. in Minneapolis from noon to 4:00 pm on Sunday, April 26 and stock up on lots of vegan goodies. Sweets and savories, we’ll probably even have treats for dogs. Just remember to bring some kind of container to haul your loot home because we’ll be charging for boxes in an attempt to make the event as waste free as possible. Please email chelsea@animalrightscoalition.com if you would like to donate baked goods. Make sure to write the ingredients down to display with your goodies so that allergy sufferers are well-informed and safe. We also request that items be donated pre-wrapped or cut so that they’re easier to divvy up. You can drop off baked good donations between 11:00-11:45 am on the day of the sale or between noon-5:00 pm the day before the sale. All proceeds from the sale benefit the Animal Rights Coalition’s programs to help animals. The Animal Rights Coalition (ARC) has evaluated hundreds of Certificates of Veterinary Inspection documents, obtained through a Minnesota Data Practices Act request from the Minnesota Board of Animal Health. ARC uncovered definitive evidence that since the Fall of 2013, Saint Paul Petland (Sun Ray Shopping Center) purchased hundreds of puppies from Menning Enterprises (Edgerton, MN) a large-scale puppy breeder and broker, and also purchased puppies from Heritage Puppies (Lake Mills, IA), another breeder/broker. This, despite Petland’s vehement claims that they don’t buy from large breeders or puppy mills. Menning’s USDA inspection report from July 22, 2014 shows 513 adult dogs and 289 puppies on the property. Since 2013, when the store was sold to the current owner Vanessa Rojas, hundreds of animals—from pomeranians to cocker spaniels, chihuahuas to miniature pinschers —were purchased from Menning and resold to the public by the Saint Paul Petland. Heritage Puppies’ USDA inspection report from September 4, 2014 shows 443 adult dogs and 101 puppies on site. Menning doesn’t just breed puppies for profit, they also obtain puppies from other breeders and then resell them. For example, ARC uncovered a sale of dachshund puppies, just 8 weeks old when shipped, from Clearwater Kennels (Cushing, MN) to Menning on August 19, 2014. Clearwater is the largest puppy mill in Minnesota with over 1,000 dogs (738 adult dogs and 312 puppies) on the property as of September 9, 2014. The national campaign against Petland is going strong, and Minnesota’s group (Minnesotans Exposing Petland) is active. 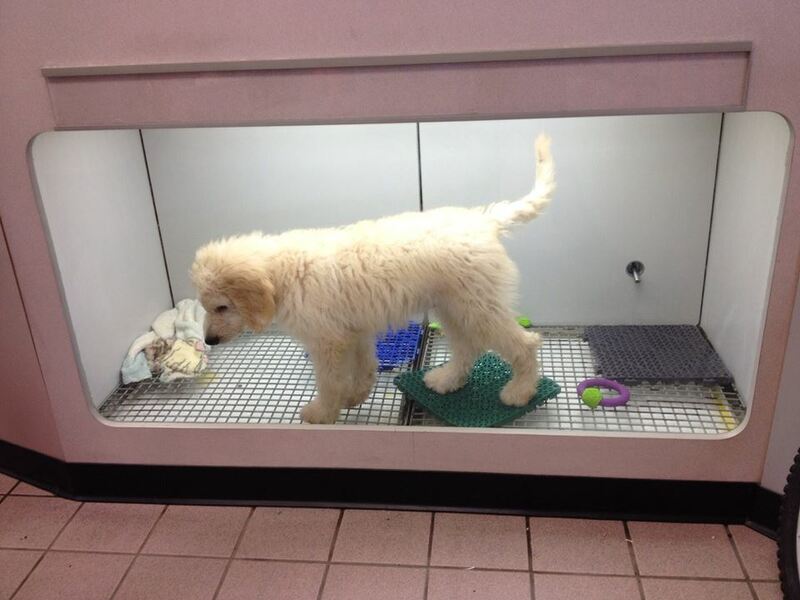 ARC invites the public to tell Petland they don’t support the business of selling dogs from puppy mills. Join ARC’s next peaceful demonstration at the Saint Paul Petland store (Sun Ray Shopping Center, 2123 Old Hudson Rd., St Paul) on Sunday, March 15. Third Annual Vegan Hotdish Cookoff a Big Success! 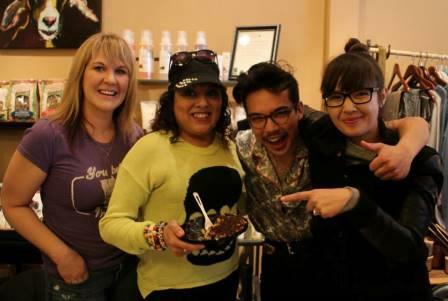 A great time was had at the Third Annual Twin Cities Vegan Hotdish Cook-Off. Over 100 people thoroughly enjoyed themselves, the food was delicious, and we were thrilled to see so many new faces. Special thanks to our great judges Kale and Aubry of The Herbivorous Butcher and Mary Johnson Strand who was last year’s winner. Congratulations to Mary Montoya, Judges Choice winner for her Creamy Chickn Enchilada Hotdish, and Megan Duke, Audience Favorite winner for her Stuffed Pasta Casserole with Garlic Toast. Mary and Megan each received a custom glass casserole with their winning titles etched into the glass. Click for the winning recipes. All the competitors brought serious game to the dining table: Christie Blood, Megan Duke, Caitlin Franko, Dawn Linnell, Jay Linnell, Mary Montoya, Sammy Samfield, Andrew Seffrood, Cody Youngquist and Aaron Zel. Thank you all for your yummy hotdishes. Thanks to the donors of all the great door prizes: Peace Coffee, The Herbivorous Butcher, Meadowlands Chocolate, LUV, Comfort Candy, Sunshine Burgers, and Ethique Nouveau. And big thanks to Matt Mehlhoff for his great photos of the event. Join us for a delicious time at the Third Annual Twin Cities Vegan Hotdish Cookoff this Sunday, March 1st from 1:00-4:00 p.m. at the Fuller Park Recreation Center, 48th St.and Grand Ave. S in Minneapolis. Original recipes from area cooks will be vying for two prize categories: Audience Favorite and Judge’s Choice, with additional prizes for the runners up. We are excited that our judge’s panel includes sister and brother duo Aubry and Kale Walch of The Herbivorous Butcher and Mary Johnson Strand, the 2014 Judge’s Choice winner. Come and support ARC’s animal advocacy work while tasting a variety of delicious hotdishes for only $1 per sample. Free beverages will be provided and there will be lots of great door prizes, including those from Peace Coffee, The Herbivorous Butcher, Meadowlands Chocolate, LUV, Comfort Candy, Sunshine Burgers, and Ethique Nouveau. We’re hoping to make this event as waste-free as possible so bring a muffin tin or plate for samples, a fork, and a cup if you can. If not, they will be provided. We’re looking forward to seeing you there! Join us for a delicious time at the Third Annual Twin Cities Vegan Hotdish Cook-off on Sunday, March 1 from 1:00-4:00 pm at the Fuller Park Recreation Center, 48th St. and Grand Ave. S in Minneapolis. Think tater tots, green beans, pasta, and other yummy things all mixed up in a single baking dish. Original recipes from area cooks will be vying for two prize categories: Audience Favorite and Judge’s Choice. Our judge’s panel includes Aubry and Kale Walch of The Herbivorous Butcher, which is about to open the world’s first vegan butcher shop in Minneapolis, and Mary Johnson Strand, 2014’s Judge’s Choice Winner. 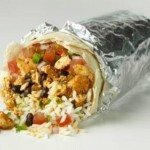 Come and support ARC while tasting a variety of delicious hot dishes for only $1 per sample. Free beverages will be provided and there will be lots of great door prizes. Your best Church Lady attire is welcome, but not required. We have a few contestant spots left and a $20 deposit will reserve your spot (you’ll get your deposit back in full at the contest). Contestants will receive a $10 gift card from ARC’s vegan boutique, Ethique Nouveau. To register to compete, click here or email Chelsea at chelsea@animalrightscoalition.com. See you there! 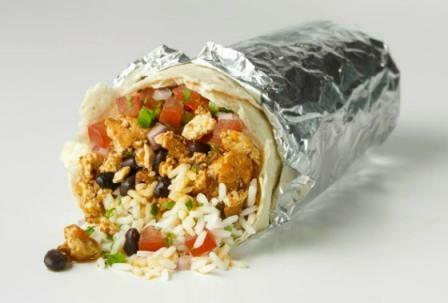 Let’s celebrate another yummy vegan option by enjoying Sofritas on Tuesday, January 20 at the Chipotle Calhoun Commons, 3040 Excelsior Boulevard #104 in Minneapolis. 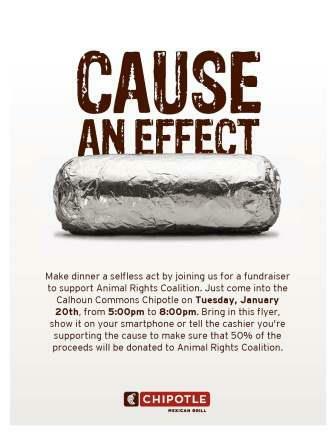 Bring in this flyer from 5:00 to 8:00pm on that day, show it on your smartphone, or tell the cashier you’re supporting the cause, and 50% of the proceeds will be donated to ARC. 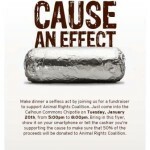 So help Animal Rights Coalition fulfill its mission just by getting a tasty vegan dinner at Chipotle. Come hungry! A heartfelt thank you goes out to everyone who donated to our animal advocacy programs in 2014. We were thrilled by the number of donors who recognized that our work is showing real results. 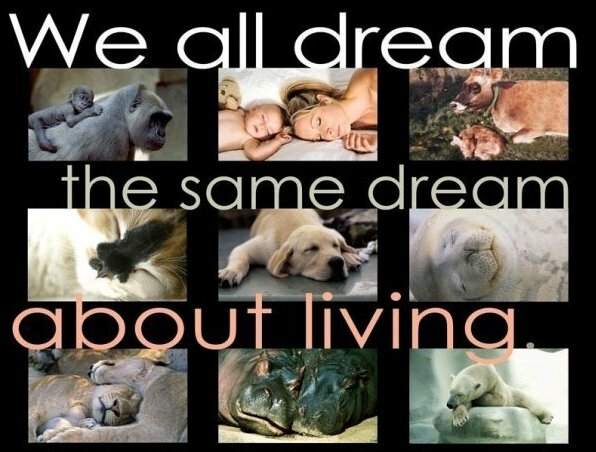 Without your loyal and generous support the Animal Rights Coalition could not exist. 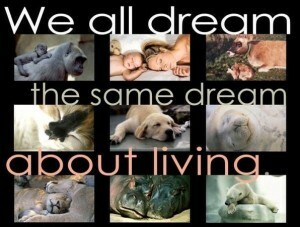 You make our victories for the animals possible. If you meant to make a donation before the end of the year, but time got away from you, no worries. Make your donation to ARC now and feel good about starting the New Year off right! We’ve had a very strong finish to the year with ExtraVEGANza events at two Whole Foods markets featuring vegan shopping tours, food samplings, and cooking demos; a second screening of the film COWSPIRACY that once again sold over 100 tickets, selling out the Lagoon Theater; and our annual Turkey-Free Thanksgiving potluck which brought in over 120 people, with many new faces in attendance. Our Cuddle Coats program reached a major milestone and recently sent its 600th fur donation to one of our 38 wildlife rehab partners, and fur donations to this program are showing no signs of slowing. We had well attended demonstrations at the Shrine Circus and at Ribnick Furs for Fur-Free Friday, the biggest shopping day of the year, and a great Pay Per View event at North Hennepin Community College to a diverse and interested group of students. Finishing off a year of very successful educational outreach, Dallas Rising, ARC’s Executive Director, gave a well received talk about speciesism to 145 people as part of the Normandale College Colloquium Series. So make a year-end donation to ARC now. We so appreciate not only your support, but also your vote of confidence in our work to save the lives of animals. With people like you on our side, we look forward to making even more of a difference for animals in the year ahead, never letting anyone forget that animals matter.